There’s no denying that E3 is an event that is defined by spectacle. Press conferences are built around major reveals, new entries in some of gaming’s biggest franchises are announced, and gameplay of the most heavily marketed games are sure to be shown. This focus on AAA titles is understandable, but there’s a lot more to E3 than just the big names that are typically thrown about. E3 also offers up a chance for indie games to reach a wider audience. It’s not unusual for indies to get stage time during a press conference, and past years have helped games like Inside and No Man’s Sky find massive audiences well before release. This year will be no different, as a ton of great indie games will be on the show floor. 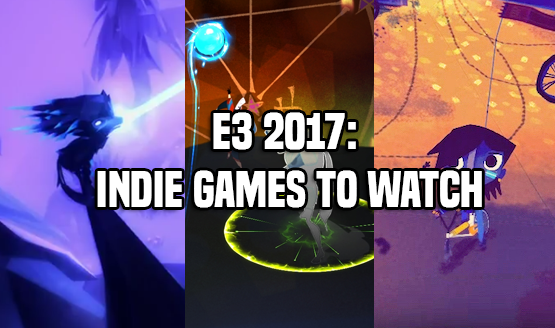 To make sure fans know what they should keep an eye out for, we’ve identified 10 indie games to watch at E3 2017. We hope you enjoyed our look at 10 indie games that we can’t wait to hear more about at E3 2017. While we highlighted some incredible games, there are even more promising indies out there that didn’t make it onto our list either due to being highlighted last year or just barely not making the cut. Hopefully they’ll find a way to grab some attention in what will undoubtedly be a very busy week. Let us know what you thought of our list in the comments below, and what E3 2017 indie games you are looking forward to seeing at the show!